RV’s aren’t all we do!! We offer a full line of services for Horse Trailers. Looking for dependable mobile service? Need parts while we’re in your area? Our van is fully stocked... even A/Cs!! We work with ALL insurance companies, most manufacturer and extended warranty companies. No Charge for insurance estimates when we perform the work. Come visit our parts and accessories department. We have everything you need to keep you ready for the road! 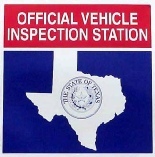 South Texas RV is excited to announce that we have adding a few new services to better serve our customers! You have asked over and over, and now we can offer complete TIRE SERVICE to all our customers. Rhino Linings® is here…….. Rhino Linings® is the perfect solution to those leaking RV roofs. Rhino Linings® can be applied from everything to RV roofs to RV steps and horse trailers to truck beds. Stop by and check out all the things we can do for you!